Gulf Shores Alabama attraction coupons are here just in time for summer compliments to TripShock! From dolphin tours to helicopter rides and fishing trips out at sea, explore a variety of family-friendly activities at the lowest prices anywhere, GUARANTEED! Check out our 2019 featured deals and shift your next beach vacation to the Alabama coast into hyperdrive! Build your own custom vacation using TripShock's intuitive planner for easy scheduling and rock-bottom pricing on all of the top attractions and tours in Gulf Shores! 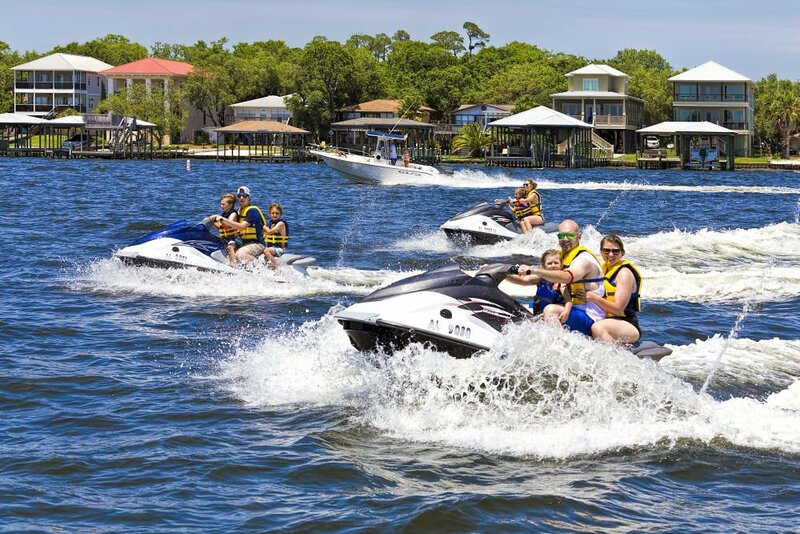 Hop on board and cruise with sweet deals from TripShock on the widest selection of jet skis and waverunners in Alabama! Agile, powerful, and surprisingly comfortable, these wild watercraft are a favorite for couples and adventurous families. A great idea for those looking to explore the Perdido Bay, Wolf Bay, and visiting the Orange Beach Islands, bring up to 3 folks on board and get to where you want to be in no time! Grip it and zip it! ONLINE EXCLUSIVE: Book online and SAVE $20 out the door on select Rentals! 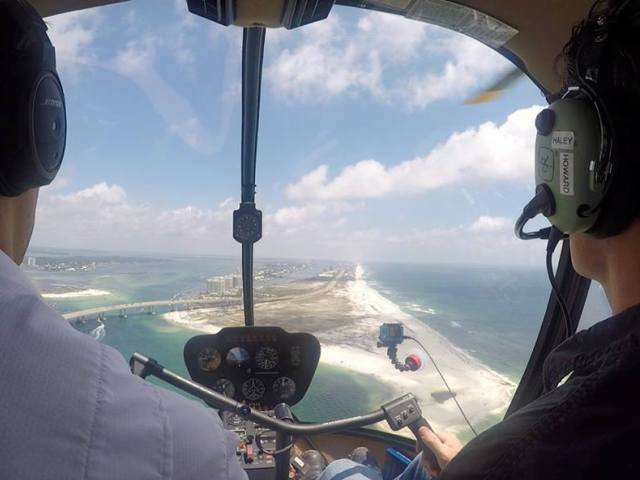 More or less the go-to superpower of anyone, anytime, anywhere, now you can fulfill your dreams and fly way high up in the sky and take it all in from the safety and comfort of a Gulf Shores helicopter tour. A beach attraction unlike any other, this is a guaranteed ride of a lifetime! Catch a glimpse of Perdido Bay, see downtown Gulf Shores and Orange Beach, or simply admire the beautiful coastline as it disappears over the horizon. Always a blast and a surefire hit with even the most technology-obsessed kiddos, grab your Top Gun jacket and get down to Gulf Shores today! GET $15 OFF Sunset Helicopter Tours with this exclusive deal from TripShock! 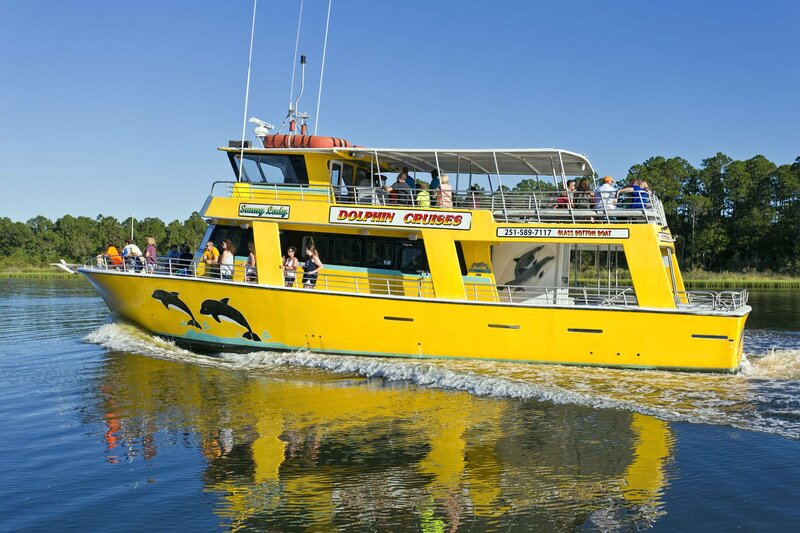 One of our most popular Gulf Shores Alabama Attraction Coupons, a dolphin cruise is an all-around awesome ideas for families traveling on a budget. Rest, relax, and take in the sweet ocean air as the captain and crew do their thing. That thing, of course, is finding and delivering dancing dolphins to the side of the boat. Watch Flipper and all of his mates splash in the waves while you enjoy a delightful cruise out on the ocean blue. Super affordable and always convenient, this is one hot ticket item that you absolutely do not want to miss! FLIPPER, FRIENDS, & FAMILY: Gulf Shores Dolphin Tours as low as $12! 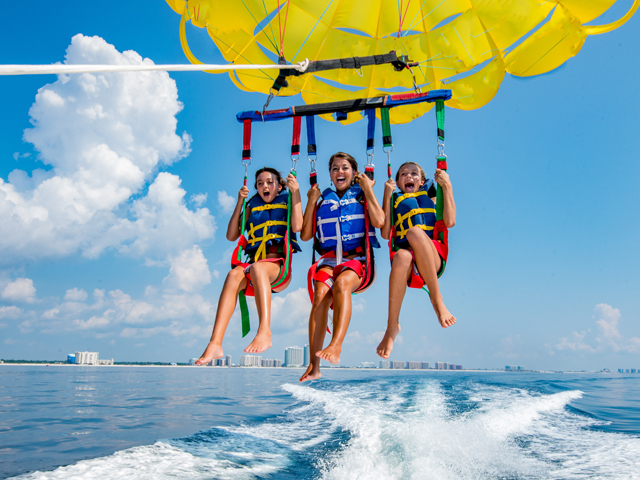 Float the winds with your closest friends and family members today with a premium Gulf Shores parasail offering from TripShock. Boasting the widest comprehensive selection of tours and trips in Southern Alabama, parasailing trips continue to attract crowds of customers for a reason. On top of being a steal of a deal, now you can peacefully fly up in the sky at heights over 500 feet with 3 of your best buds! Want to tag along but not sure about being strapped to a flying parachute? No problems! Saddle up and get ready for a sweet stroll on the beautiful ocean waters of Gulf Shores! Low prices and HIGH FLYING FUN IN GULF SHORES! Book today! Calling all anglers down to the docks! This is your chance for incredible deep sea fishing charters at unbeatable prices! Chase big game like Snapper, Grouper, Amberjack, Triggerfish, and much much more on one of our top deep sea fishing offerings. One of our absolute favorite Gulf Shores Alabama Attraction coupons, the captain and crew will give you everything you need to succeed! That means license, pole, bait and tackle, help baiting the line, help taking the fish off the hook, species ID, tips and techniques, and perhaps most importantly fish cleaning and filleting! Bon appetit baby! 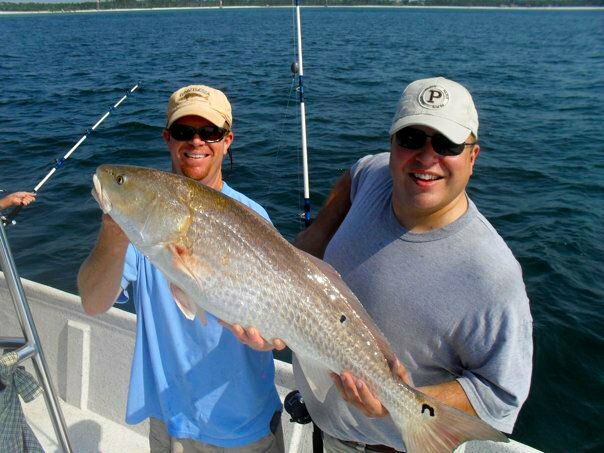 PARTY BOAT SPECIAL: 4 Hours of World-Class Fishing for Just $65! There you have it, folks. Our top Gulf Shores and Orange Beach deals for 2019. But man oh man, it doesn't stop there! Get on over to our Gulf Shores/Orange Beach Visitor's Guide and feast on all of the deals, info, and local knowledge that you can handle! Enjoy!